Year after year. Decade after decade. 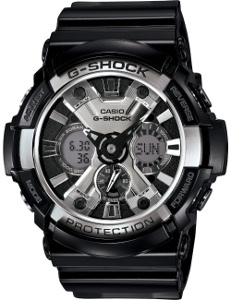 Casio’s G-Shock line of watches continue to grow and expand a fanatic base of fans and followers. Who is to blame since no other watch brand has come close to what G-Shock has to offer even till today. While G-Shock watches continue to evolve and advance over time, one thing remains. The core philosophy of the watch makers behind the brand remain unchanged. The pursuit for perfection in offering tough watches that are shock resistant while at the same time unique and fashionable, is still very true even till today. If you just get yourself familiar enough with their watch collection, you will see what I’m talking about. Through the Casio G-Shock Classic collection, Casio combines the timeless classical design with the latest technology sophistication, both that have been the signature of G-Shock brand of watches. 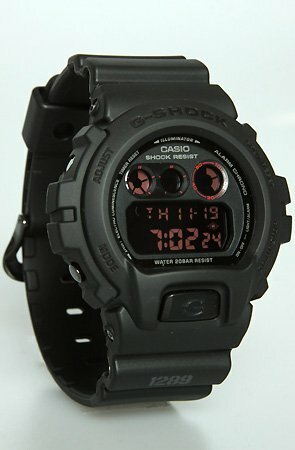 Within the Casio G-Shock rank of watches, there is the G-Shock Classic series. As the name implies, this series is designed to be less fanciful when it comes to style and exterior display of the watch. But this does not necessarily mean that G-Shock Classic watches are behind in terms of technology and features compared to the rest of the G-Shock lineage. If you look at the Classic collection that has been popping up over the years, you would see that they always feature state-of-the-art watch technology. The biggest differentiating factor of the G-Shock Classic family compared to the other G-Shock families is probably the usage purpose that it is designed for. Unlike the other G-Shock series like the Aviation, Master of G and Frogman, where they were particularly designed as perfect companion to your harsh outdoor adventure kind of activities, the G-Shock Classic lineage is designed more for general purpose usage. It retains the basic functionalities and features that have become the hallmark of any G-Shock watch such as shock resistant, water resistant and easy-to-use stopwatch. Although G-Shock classic watches are designed for general purpose use, there is no compromise when it comes to toughness and durability. That is why G-Shock classic watches are highly popular in the army camps and among the military, not only in America but also in many countries the world over. As intended for generic users, the price of classic models are in the affordable range of between $70 to $250. I do not constantly monitor its latest price, but buying G-Shock classic watches from online retailers such as Amazon may give you some savings from the normal MSRP. Well, there is a chance that you were so unfortunate that the G-Shock classic model you’re looking for is not selling that much lower compared to its MSRP. In the worst case, you might end up with 0% to 5% saving. However, there is also a chance you were so fortunate that the G-Shock classic model you’re looking for is selling for much lower compared to its MSRP. At best, you might end up with savings of up to 45%. The choice is entirely yours to make, but my advice is try to be open to new models if you see the bargain for the model that you want is not good enough. Among all the classic collection, GA200BW-1A is the most popular. It is a classic watch that is both an analog and digital black watch in one piece. 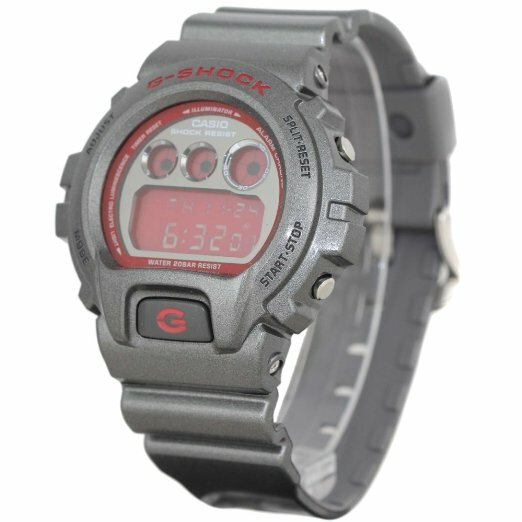 The other popular series is the G-Shock classic 6900. The DW6900MS-1 G-Shock military watch and its sibling DW6900SB-8 are the two most popular. Going back to our serial number decryption guide, one can expect minor difference between the two. Both are essentially identical in almost every aspect except for the dial design and color. The last digit for DW6900MS-1 is ‘1’ which indicates that it is black in color. The letters ‘MS’ indicates that it boasts military inspired design. On the other hand, DW6900SB-8 carries ‘8’ as the last digit to indicate grey color. While both models are using the same bezel that makes G-Shock 6900 series so well-loved, the DW6900SB-8 features a unique mirror metallic grey color. This is something that is not commonly found in most G-Shock watches.